Will the UK Parliament pass the modified version of May's deal? 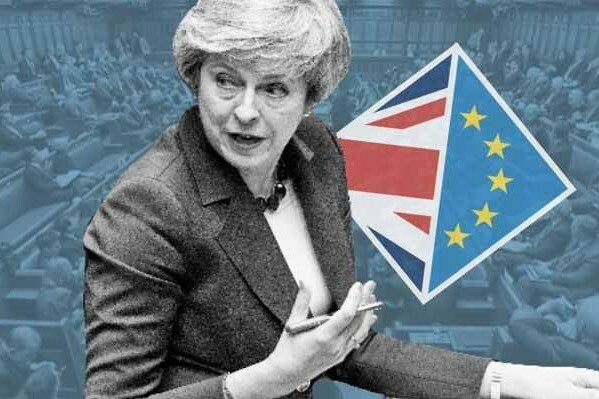 Theresa May Monday set out her Brexit plan B to MPs, which she was obliged to do under the EU Withdrawal Act after the defeat of her plan in the House of Commons last week. The only notable change to her initial deal is that the government has scrapped the £65 (€73.69) fee EU citizens were going to pay to secure the right to continue living in the UK after Brexit. The fee secured citizens a "settled status" giving them access to healthcare and education. May added that anyone who has already paid the fee would have it reimbursed. Opposition leader Jeremy Corbyn welcomed the decision. Once again, the British prime minister vowed to find a solution to the Irish backstop, which she said was the key issue blocking her deal going through. "We are working hard to find a resolution to it," she added. May once again rejected calls for a second referendum. "Accepting a second referendum will damage the union, and damage social cohesion," she said. She also rejected calls for a no deal and said: "The sheer facts are that no deal will only be taken off the table by revoking Article 50 ... which the government won't do." Following her statement in the Commons, Labour opposition leader Jeremy Corbyn said her deal is undeliverable. He also accused her of wasting taxpayers' money on preparing for the outcome. May's deal will now be debated in Parliament on January 29. A vote is expected the same day. The prime minister will then take the conclusions back to the EU. The UK is scheduled to leave the EU on Friday, March 29, 2019, at 11 pm UK time.